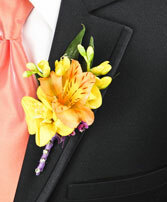 The prices reflect a fancier boutonniere clip with a magnet. 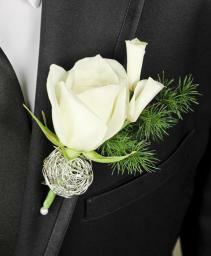 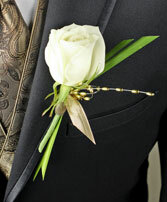 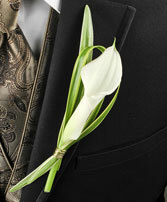 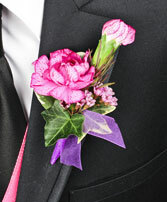 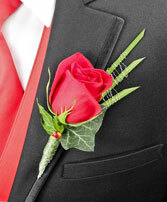 This boutonniere is available in all colors. 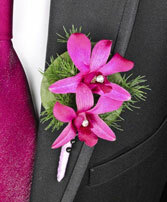 Please indicate the color in the special instructions section of your order. 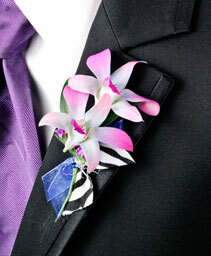 Dendrobian orchids come in various color's ie: pale pink, purple, verigated purple, white, tie-died blue/turquoise & apple green. The prices reflect fancier boutonniere clips and bling. Please specify what color orchid you are requesting. Roses come in all colors, please note the color if other than white in the special instructions. 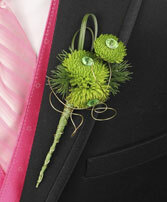 The price difference reflects a fancier boutonniere clip with a magnet. 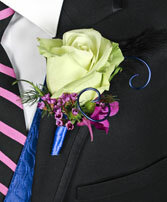 Option 1 the stem is wrapped in ribbon to match your date's dress with a rhinestone spray. 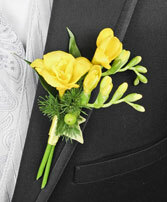 Choose from a single carnation or additional blooms and boutonniere clips. 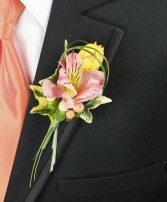 Add a magnet for a $2.00 additional charge. 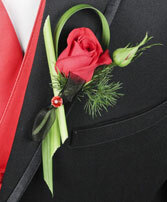 Be sure to mention this in the special instructions. The prices reflect upgraded boutonniere clips with magnets. Roses come in a variety of colors, be sure to note your color choice, if different from the green rose, in the special instructions area. 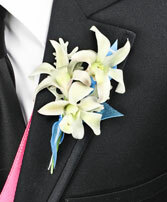 The price difference reflects an upgrade in the boutonniere clips with a magnet. 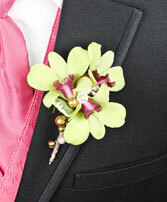 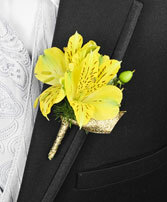 The price difference reflects a fancier boutonniere clip with a magnet to clip on the lapel. 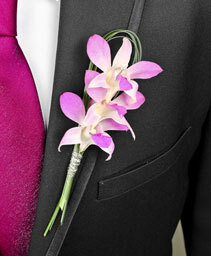 Dendrobian orchids come in a variety of colors, be sure to indicate this in the special instruction area. 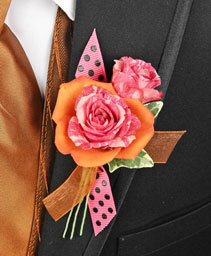 The prices reflect a ribbon wrapped stem to fancier boutonniere clips withmagnets. 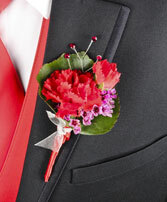 Mini carnations come in a variety of different colors. Be sure to indicate if your color choice is different from the picture. We also add a rhinestone spray to all our boutonniere's. 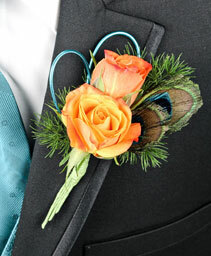 The prices reflect an upgraded boutonniere clip and a magnet. 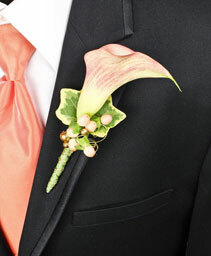 Mini calla lillies come in various colors, please indicate the color in the special instructions. It is always nice to match your dates dress color.